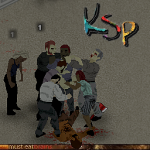 How you doing survivors, I´ll hope you are doing great. This new post was made to separate the old with the new. I have been working in the project pretty slowly but without stoping it. 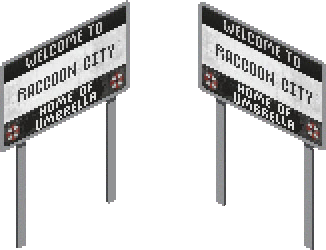 I´m planning to make a big map, with all Raccoon City´s forests and two little towns called "Stoneville" and "Arklay City". I have many ideas and too many job to do but I wont stop the project until I get done. At the moment the base of the map (png and tmx files). They are 15 chunks for the city. At the moment I´m woirking in 1 chunk with the most famous places of RE2, and some of RE3. I will show some pictures about these places, but I will not show too many spoilers about the city. I dont really like to spoiled people, Therefore I will just show pictures about places that RE fans know from RE games. I´m thinking about asking for help, I would have to size each block before to ask for a building. At the moment I will do it by myself. Thanks for reading and enjoy the pictures. Que tal supervivientes, Espero que esten de lo mejor. Hice este post para separar lo antiguo de lo nuevo. He estado trabajando en el proyecto algo lento pero sin detenerme. 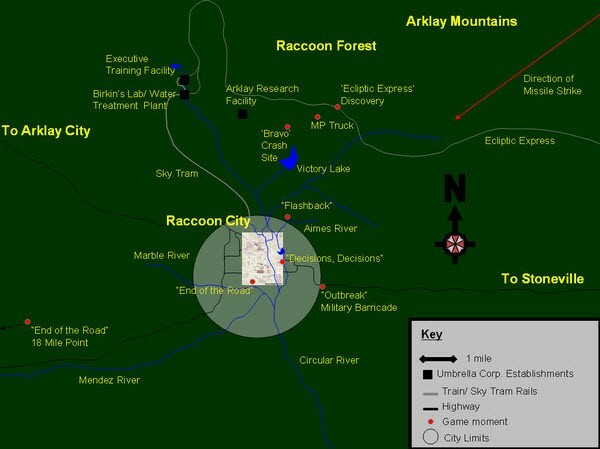 Estoy planeando hacer un mapa muy grande, con todos los bosques de Racoon city y 2 pueblos pequeños llamados "Stoneville" y "Arklay City". Tengo muchos planes y mucho trabajo que hacer, pero no voy a parar hasta que termine. Por el momento el mapa base esta terminado (archivos png y tmx). Son 15 chunks en total para la ciudad. Por el momento Estoy trabajando en solo 1 chunk con los lugares mas famosos de RE2, y algunos de RE3. Voy a mostrat algunas imagenes acerca de estos lugares, pero No voy a mostrar muchos Spilers acerca de la ciudad. En realidad no me gusta Spoilear gente, Por lo tanto solo voy a mostrar imagenes acerca de lugares que fanes de RE conocen. Estoy pensando en pedir ayuda, Tendria que medir una cuadra antes de preguntar por un edificio. Por el momento voy a hacerlo por mi cuenta. 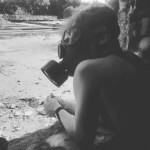 Gracias por leer el post y espero que disfruten las imagenes. 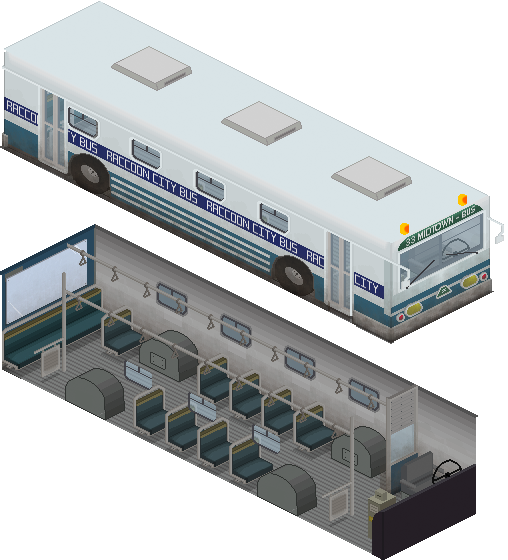 Oh my god that bus is beautiful! Damn, what's the status progress of the map now ? my friend cris must be busy with other issues of life, it is difficult to recreate a large city of this type, I pass all the buildings I had in my collection but still I think it will need more work, if someone else wants to help you can make buildings and constructions recreating the environment of this mythical city, surely help a lot the project.